No Setup Costs on Google Ad Campaigns. For a limited period, Fresh Web Studios are offering Google Pay Per Click Google Ad Campaigns with no setup costs. internet marketing services by Fresh Web Studios... no setup costs! 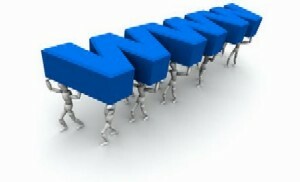 Internet Marketing refers to the process of promoting your website to the world. Internet Marketing is more than just search engines, and this package aims to engage all methods of online marketing and is designed to suit larger websites, or websites with a product or service conducive to a high level of marketing. Arranging deals with website operators relevant to your products, services or target market. Fresh Web Studios offers Internet Marketing at a very reasonable investment each month, and includes full Search Engine Optimisation. Because each website is different, and requires different marketing techniques, we quote individually on all Internet Marketing projects. Simply drop us an email, tell us a little about your website, and we’ll discuss your needs and come up with a quotation accordingly. For websites where traffic converts easily into profit, Internet Marketing is vital as it provides a continual stream of traffic into your website, as well as creating brand recognition and product awareness. Contact Us Today to find out how Fresh Web Studios can provide Internet Marketing services to promote your website to your target market.